An English Homestead: Blight Strikes! 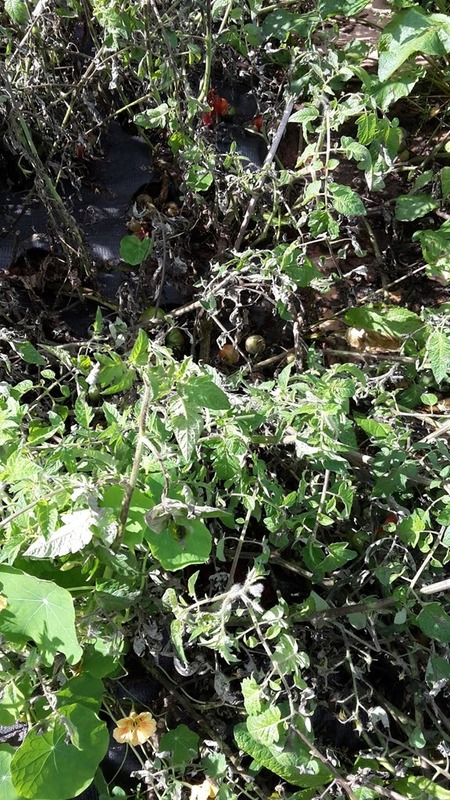 Blight has struck my outdoor tomatoes. It always hits so fast when it comes, hopefully it'll stay out the greenhouse. I pulled up all the plants and dumped them far away from the garden, A shame as so many tomatoes were nearly ready, although we've had quite a few tomatoes from there already, the girls are always stealing some to eat. I will grow outdoor tomatoes again and I will do the one truss system again. 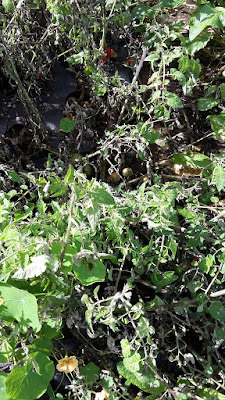 But next year I'll grow bush type tomatoes, I'll make sure that I prune them when I should and I'll plant only two deep with larger spacing between - this year I got greedy and it never pays off. I'll probably look for some early maturing ones as well. What variety do you recommend for outdoor growing? 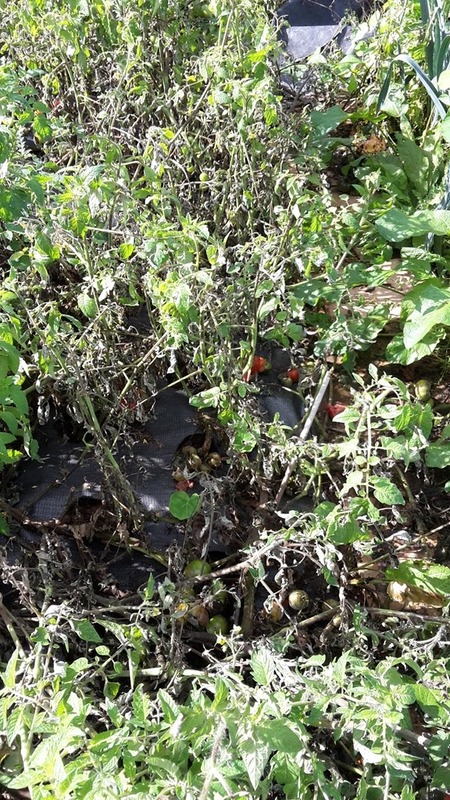 Has blight struck your garden? I don't know whether it works or not but I spray every week with soluble asprin, 1/4 of a tablet in 1 pint of water until dissolved. So far so good for 3 years now. Mind you, only 7 plants cordon grown, but each 1 foot apart. I would have thought bush ones would be more crowded hence more susceptible? Forgot to say, it also is supposed to also work on potatoes. Sorry to hear about the blight on your crop. We have had no troubles this year because of the long hot summer, but other years we have also suffered. 'Tis the joys of smallholding life! Sorry to hear about your blight attack. Can't beat good old Gardeners' delight! The tomatoes are usually edible though are'nt they? I'm sorry I can't recommend a good tomato variety for you. I have such a short season that only the cherry types produce for me and those are prone to blight as well. Sorry you got hit, the weather must have been conducive to it. I guess that just leaves us with the "NEXT YEAR" will be better saying that keeps gardeners going! My mom always said that you could save the ripening tomatoes by washing them with soapy water. (dish soap) and letting them ripen inside. We live on a hill and you can see the blight working it's way up the road. Usually it strikes here when I am ready to be done with the garden anyway. I grow heirloom tomatoes which seem to have no resistance whatsoever. Last year a neighbour asked if I'd had any Blight on my Tomatoes; I proudly replied 'No'. The very next day I was struck, and they all died almost at once. My fingers are crossed for this year as I have masses of huge unripe fruits. I've got blight too. So my sympathies are with you. I ended up with 2 cherry tomatoes to eat. Next year!